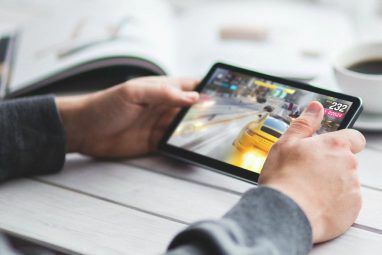 When you are in the mood for a new game on your mobile device 17 Fast, Fun, and Free Mobile Games for a Quick Fix 17 Fast, Fun, and Free Mobile Games for a Quick Fix Sometimes you just need a game to kill five minutes. These great mobile games let you have fun in short bursts. Read More , the options can be overwhelming. For both Android and iOS users, the stores have more than enough fun and challenging games in the word category. If you are looking for something enjoyable and unique in a word game, check out these excellent choices. Wordscapes is a newer game that combines creating words with a crossword puzzle. You just swipe to connect the letters to create words that fit into the crossword. Keep in mind that not all possible words are correct. They must fit into the crossword puzzle for you to succeed. If you enjoy relaxing word games 8 Relaxing iPhone Puzzle Games That Can Help You Unwind 8 Relaxing iPhone Puzzle Games That Can Help You Unwind Sitting in front of a game on your iPhone is one of the easiest ways to unwind, especially with a few calming puzzles. Read More , then Wordscapes is definitely one to check out. The puzzle packs are themed with beautiful imagery from sunrises to forests to oceans. 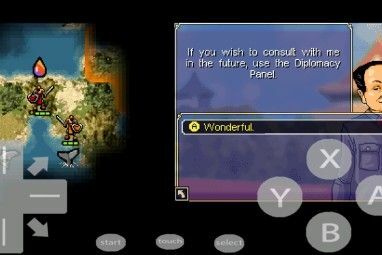 The game also has a pleasant soundtrack to enhance your experience. For a casual and challenging word game, Wordscapes is fantastic. Another letter-connecting word game with a balanced challenge is Words Crush: Hidden Themes. You are presented with letters to connect that create words for the theme. But, the trick is that when you swipe through them, the remaining letters fall. So, be careful to connect them right when you have more than one of the same letter. Try not to make mistakes, and earn stars so that you can unlock additional themes. You can head to the beach, kitchen, farm, and even outer space when you do well. Words Crush: Hidden Themes has a simple concept, but enjoyable gameplay. Maybe when you play a word game, you like to mix pictures with it. If so, take a look at Pictoword. This out-of-the-ordinary word challenge tests your solving skills. You will see two pictures that combine to create a word. For example, one picture might be a key and the other a chalkboard. Fill in the number of letters shown to create one word based on the images: keyboard in this case. Pictoword offers quests for you to complete for extra game goodies, so be sure to check for new ones often. You can also join the daily challenges and earn coins. Then, use those coins to obtain hints that remove or reveal letters or let you skip the puzzle. Pictoword is a great combo of a picture and word game. Another cool word game that uses pictures is Wordalot. Much different than Pictoword, Wordalot is a crossword puzzle. Your clues for each word exist within the displayed picture. So, you must open up your observational skills toolbox for this one, because it can be a challenge. To play, tap one word in the puzzle that you believe you know. Fill in the letters from the ones shown, see if you are correct, and then keep going. If you change your mind about a letter, just tap it to remove it from the puzzle. The letter set changes for each word you tap, which in itself is a hint. With an upbeat theme and jolly music, Word Cookies will have you baking up words to solve its puzzles. You will see spots that show how many words you can create and the number of letters in each. Then, drag though the letters at the bottom to create the correct words that fit. Word Cookies lets you shuffle the letters or use hints when you get stuck. You will start as a Novice Chef, but with your solving expertise, you will become an Ultimate Chef in no time. The game currently has 32 packs with close to 600 levels of fun. WordWhizzle Search is similar in gameplay to Word Cookies, but contains a whopping number of levels at over 900. You see a theme displayed at the top and spots for words at the bottom. Swipe through the letters to create the words that both match the theme and fit the spots. This word game is a little trickier in that you can only connect letters in straight lines. But, you can use letters more than once. The better you do, the further you progress, and the harder the game gets. For word game fans, WordWhizzle Search is a terrific challenge. Languinis is a matching word puzzle game that features a funky story to go along with it. Match three or more tiles to reveal letters. Then, use those letters to create words and meet the level objectives. Your ultimate goal is to free the little Languinis. The game has well over 500 levels, unique boosts and power-ups, challenging gameplay, and awesome graphics and sounds. Match more than three items to create special tiles and then combine them for massive explosions. And remember, longer words and letters with higher points will get you to your objectives quickly. Free the Languinis with your words of wisdom in this upbeat game. If you like to stick with story-based word games, AlphaBetty Saga is one entertaining option. It’s developed by King, the creators of Candy Crush Saga (our tips Best Candy Crush Saga Cheats, Tips, and Hints to Climb the Leaderboard Best Candy Crush Saga Cheats, Tips, and Hints to Climb the Leaderboard Struggling to clear levels in Candy Crush Saga? Let us show you the best tips and hints for climbing the leaderboards and beating your friends. You'll be crushing candy like never before! Read More ). This one takes you into a mouse world with Betty and Professor Alpha. Connect touching letters to create the highest scoring words you can and complete the level goals. AlphaBetty Saga has over 100 levels with cute characters and colorful graphics. Watch your move limit and number of lives, create powerful letter tiles, and have fun with words in this cheerful game. And if you like other types of puzzle games on your mobile device, take a look at these awesome collections Choose Your Puzzle! These Mobile Collections Offer a Wide Variety Choose Your Puzzle! These Mobile Collections Offer a Wide Variety Love solving puzzles on your phone, but want lots of different types? These mobile puzzle collections provide word games, logic puzzles, Sudoku, and more in one easy package for Android and iOS. Read More . Bold Moves is another matching puzzle word game, but still manages a unique playstyle. You swipe to swap the tiles and make matches of three or more. However, your goal is to match the tiles containing letters to release them into the puzzle. The puzzle is displayed above and consists of an inspirational quote, for a nice touch. When you release enough letters and know the answer to the puzzle, tap Solve. Then, fill in the missing letters and move onto the next level. Bold Moves has its challenging obstacles, special tiles, and helpful boosts like similar games. With beautiful graphics and charming music, this word game from the Oprah Winfrey Network is a definite winner. Sometimes the time-tested types of word games are the most enjoyable. Infinite Word Search Puzzles brings back the enjoyment of paper puzzle books. With two game modes, you can either race against the clock or solve the puzzles at your own pace. The game has a huge variety of single-player word search categories. Pick from topics like animals, art, TV shows, and sports with plenty of levels within each. You can also unlock special categories by watching a video or paying to remove the ads. Infinite Word Search Puzzles is ideal for fans of this genre. Alpha Omega has been on the word game scene for a couple of years, and with good reason. 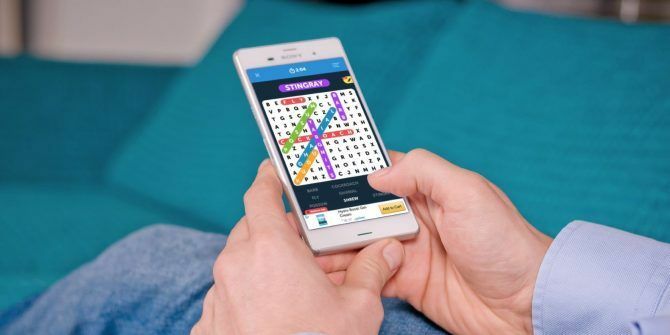 This is a crossword-style word game 10 Free Apps for Solving Crosswords on the Go 10 Free Apps for Solving Crosswords on the Go Crosswords have moved into the modern era, and they're so fun on Android. Read More with challenging puzzles. You receive limited hints with letters that are in the wrong order. Just tap to swap the letters, keep in mind the hints, and solve your way to the next challenge. 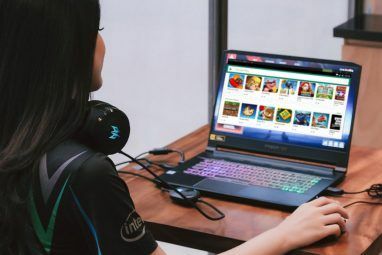 What makes Alpha Omega stand out, aside from its brain-teasing gameplay 15 Awesome Puzzle and Brain Teaser Games for Chrome 15 Awesome Puzzle and Brain Teaser Games for Chrome Put on your thinking cap, open up Chrome, and check out these fun and challenging brain teasers. Read More , is the audio and visual effects. You can select from attractive themes and enjoy the soothing soundtrack as you play. If relaxing mobile games are your favorites, then Alpha Omega is a must-have. What’s Your Favorite Type of Word Game? This list covers the gamut for word games, from searches to crosswords to matching Words Without Friends: 7 Mind-Bending Single-Player Word Games Words Without Friends: 7 Mind-Bending Single-Player Word Games When all you want is a quick test for your vocabulary without relying on someone else, just fire up one of these fantastic single-player word games: Most will work either on iOS or Android. Read More . Many word game fanatics like them all and play them avidly. But, maybe you have a particular type of word game that you enjoy. If you have a favorite type of word game, feel free to share it along with a suggestion for a fun one in the comments below! Explore more about: Free Games, Mobile Gaming, Word Games. Thanks for these. Recommend CRICKLE app for excellent word play on mobile phones. Very clear, classic design, and no ads. Also free to download.